I was at a pub in Gunnison, CO and this brew caught my eye….Maui Brewing Company, Coconut Porter, brewed with hand-toasted coconut. I ordered it up and my chilled porter arrived, not in a bottle and not in a glass but in a can! I was a bit stunned that a microbrew was served dressed in a can and I would expect nothing less from a PBR or Strohs but a microbrew? I snobbishly requested a glass. While awaiting my glass I took my first sip and beamed over the waft of toasty hops and silky notes of chocolate and coffee. I crave a darker beer during the cooler weather to ease the chill and this Coconut Porter is perfect for the in-between months….a way to settle the summer breeze and stoke the winter fire. As I continued reading my cold, hard, soul slowly sank with a sense of guilt in regards to my, (this girl don’t drink outta a can) snobbish moment. I decided that for the environments’ sake I could probably handle the can and I did and it was good! I enjoyed two Maui Brewing Company Coconut Porters that night and I don’t think I could have drank anything more…a perfect amount of toasted porter-y goodness. 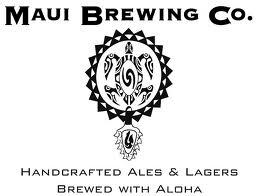 I also decided to check out what Maui Brewing Company was all about because frankly I enjoyed their beer. They are a young organization, circa 2005, birthed by Garrett Marrero and Melanie Oxley. They are the island’s (Maui) only brewing company and embrace a sustainable culture (hence the cans.) Solar power is the main power source at the Maui Brewing facility, spent grain from the brew process is given to local farms as animal feed or compost and vegetable oil from the brew-pub restaurant is converted to bio-diesel. Posted on May 3, 2012 October 31, 2017 by Table Without BordersPosted in RecipesTagged Cans, Coconut Porter, Colorado, Gunnison, Maui Brewing Company, Sustainability. I would like to add the most enjoyable fun night we had. I loved spending time with youand Ruth.